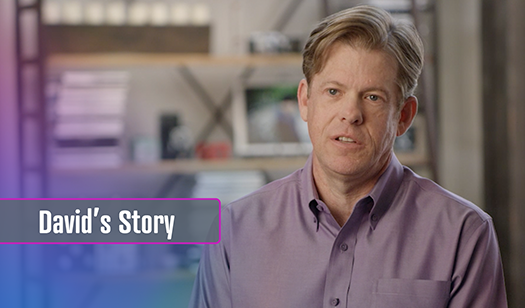 The 14.2-hour half-life of AFSTYLA allows the flexibility to dose 2 or 3 times a week, depending on your needs. 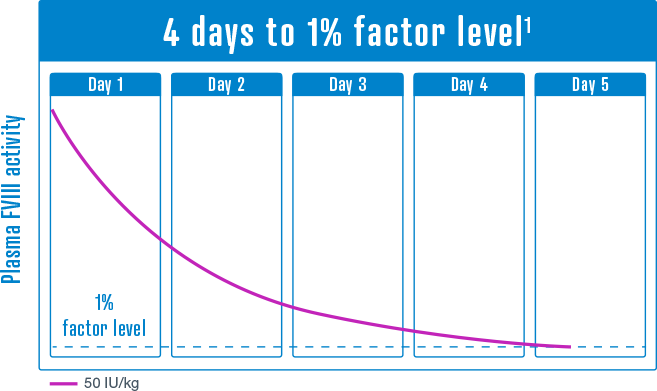 Half-life measures how long it takes for the activity level of your infused factor to drop by 50%. A longer half-life means that the drug is active in your body for a longer time. Low doses may mean less volume per dose and less time for each infusion. Once stored at room temperature, do not return the product to the refrigerator. You can also store in the refrigerator (36°F to 46°F) up to the expiration date. AFSTYLA uses the Mix2Vial® needle-free reconstitution and transfer system. West Pharma. 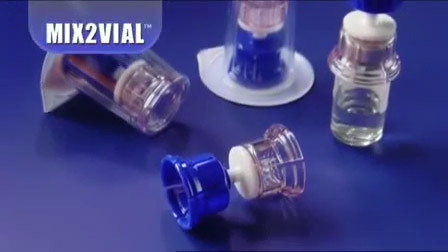 Services IL, Ltd., a subsidiary of West Pharmaceutical Services, Inc., is the copyright owner of the Mix2Vial® video. Mix2Vial® is a registered trademark of West Pharma. Services IL, Ltd., a subsidiary of West Pharmaceutical Services, Inc. Thinking about a switch in therapy? Reference: 1. Data on file. Available from CSL Behring as DOF AFS-001.